The NIACC volleyball team dropped a 3-1 decision to Iowa Central in an ICCAC contest on sophomore night Wednesday in the NIACC gym. No. 8 Iowa Central won 25-18, 24-26, 25-21, 25-16. Before Wednesday’s match, NIACC sophomores Connor Gauch, Hannah Wagner, Shelby Heston, Sydney Roush and Jordana Foote were honored. Iowa Central (26-9 overall) remained perfect in the conference with an 8-0 mark. 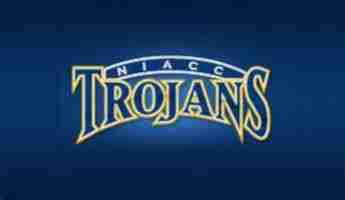 NIACC fell to 19-13 overall and 2-6 in league play. NIACC returns to action Saturday with a pair of matches against DCTC and Bethel University Junior Varsity in Inver Grove Heights, Minn.